Special Hope Network is governed by a Board of Directors who oversee all aspects of the organization’s vision and its implementation, both in the US and abroad. Our board members bring a diverse set of skills, gifts, and experience but share a common passion for Jesus and enthusiasm to love orphans and vulnerable children with intellectual disabilities. As Special Hope Network continues to grow as an organization, we prioritize excellence in every area of our work. Therefore, we also brought together a group of various talented support professionals to form our Advisory Council. Special Hope looks to these individuals to provide specific expertise to SHN staff and Board of Directors. Ben is a CPA and the proud father of an adopted Zambian son with intellectual disabilities. In addition to serving Special Hope, Ben is employed by World Vision as a Finance Manager. Ben is married to Laura, and together they have four sons. The Menenbergs live in Bellevue, Washington. Erica has served on the board of Special Hope Network since its inception. Her passion for children with special needs began with her experiences as an elementary school teacher in northern Virginia. She currently serves as the secretary for the SHN board and as a local coordinator for the American Belarussian Relief Organization. Erica and her husband Chris have three children and live in central Virginia. Maggie is a passionate learner and has always been honored with the opportunity to serve and help. Professionally, Maggie is a CPA and currently the Manager for the SEC Reporting and Technical Accounting team at Seagate. In the past, she has held positions at Hewlett Packard, PACCAR, and World Vision. Maggie and her husband Andy, together with their dog Lego live in Sunnyvale, CA. Dr. Matherne is a Pediatric Cardiologist at the University of Virginia wherehe is the Chief Medical Officer for the UVA Children’s Hospital and Vice Chair for Clinical Affairs in Pediatrics. Paul has been married to Linda for 35 years and they have 4 children and three grandchildren. The Mathernes live in Charlottesville, Virginia. Ms. Min Kim is a former humanitarian worker who has traveled to many remote parts of the world to serve God’s children. Min was drawn to Special Hope because of its mission to improve the lives of the children and their families who have limited access to proper support and help. By profession, Min is a CPA and currently leads the internal audit department at New York Racing Association. Prior to joining New York Racing Association, she served as the Director of Global Audit at World Vision International, where she gained extensive global audit experience and found her passion for helping children in need. At home, she is a busy mother of two young children and married to Mathew. They reside in Long Island, New York. 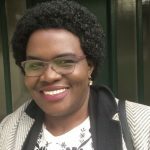 Emma Manda Mwanza is a Social Worker who until September 2016, when she moved to Washington State, USA, was a Child Protection Specialist with local authorities in the United Kingdom. Having started her professional experience in Zambia, Emma has extensive experience working with community based organisations. She previously worked with Care International Peri-Urban Self Help programs and Irish Aid Community programs in Zambia. Emma is married to Dennis Mwanza and together they have three wonderful children. Emma lives in Bellevue, Washington with her husband and last born son. Rebecca Fry has been a special education teacher for the past 13 years, a life skills coordinator for the past 5 years, and has spent the past 20+ years engaged in the passionate work of serving children with disabilities and their families. 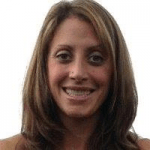 She is currently a special education state trainer and independent consultant for school districts.